Luxurious and sophisticated, these varied color Wayfarers by Sunglasses Shop will elevate your style quotient in no time. While the acetate frame with polycarbonate lenses lends a sporty look to these unisex sunglasses, the UV-protected lenses guarantee complete protection against sun’s rays. 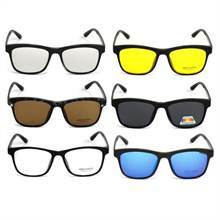 - Eyeglass can be fitted with the desired power and to be used as Sunglasses. 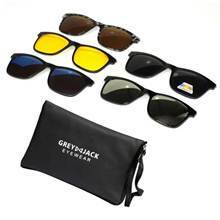 - It can also be used without power as normal polarized & UV protected sunglasses. - It has magnetic grip with hook which provide firm attachment and style to the sunglasses. Mercury Blue Sunglass & Mercury Silver Sunglass-The mirror coating decreases the amount of light passing through the tinted lens by a further 10–60%, making it especially useful for conditions of sand, water, snow, and higher altitudes. 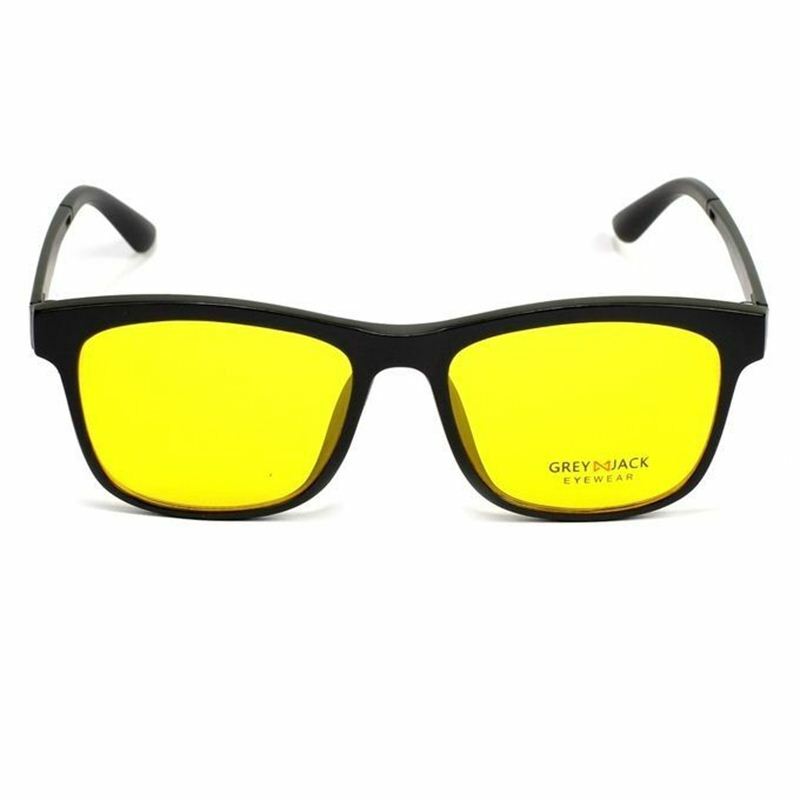 Black Sunglass-Polarized sun glass eliminate glare from a road surface when driving into the sun. Polarized sunglasses means the focal points of enraptured shades decrease glare reflected at a few edges off sparkly non-metallic surfaces, for example, water. They enable wearers to see into water when just surface glare would some way or another be seen, and take out glare from a street surface when crashing into the sun. Captivated focal points are covered with an uncommon synthetic film that lessens glare. Glare is caused when light from the sun is reflected off of water or a strong surface. By killing glare, energized focal points enable you to see questions all the more plainly, and furthermore help lessen the destructive impacts of UV light. Spellbound focal points contain a unique channel that obstructs this sort of extraordinary reflected light, lessening glare.